From pills to plasma injections to transplants, you’ve got a bunch of options for treating and preventing hair loss. (Side note: We also strongly endorse skipping it altogether and just embracing your Power Donut.) Regardless of how you decide to approach your receding hairline, if you do anything at all, one of the best defenses—at any age, and at any stage of loss—is the right hair care regimen. The right shampoo can slow down recession and thinning, while others can even maximize the potential of the hair you still have (give it a fuller appearance). So, which shampoos will serve you best? We tested a ton of them so that we could answer that question. Some of these stimulate circulation and promote healthy growth, some block hair-suffocating DHT, and some are adept at adding volume to the hair you’ve already got. So, stop scratching your head on the matter and peruse this list—surely one of them is best for your particular case. You really shouldn’t shampoo daily—unless you’re using a shampoo specifically designed for it. Brickell’s is one such gentle product, since it’s packed with aloe, tea tree oil, vitamins E and B5, and peppermint. The last ingredient stimulates circulation in the scalp, too, so it encourages hair growth. It’ll leave your hair looking fuller, not dried out like your standard-fare washes. If you’ve got thinning hair, keep an eye out for Vitamin B whenever you’re perusing ingredient lists. 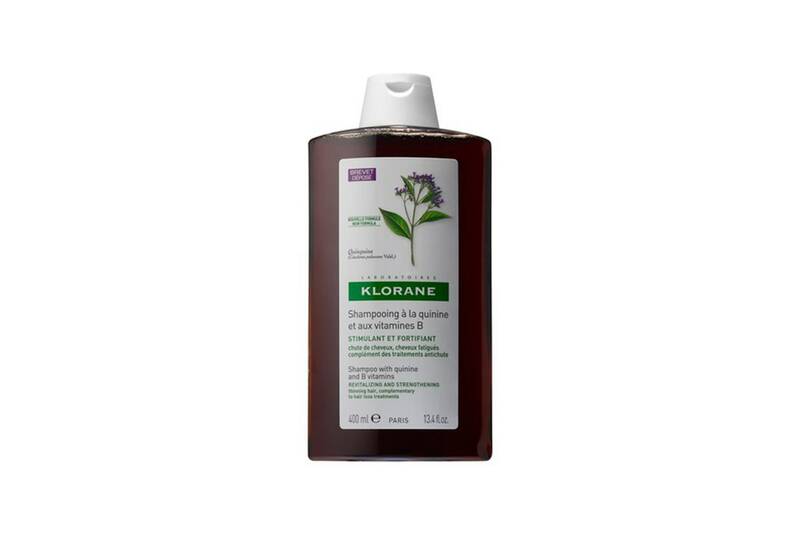 This family of vitamins is best known for its hair-strengthening powers, and Klorane’s shampoo employs a roster of them: It hydrates and fortifies the hair shaft (B5), in addition to strengthening keratin and minimizing sebum production (B6), and stimulating circulation and nutrient delivery (B8, plus quinine bark extract). 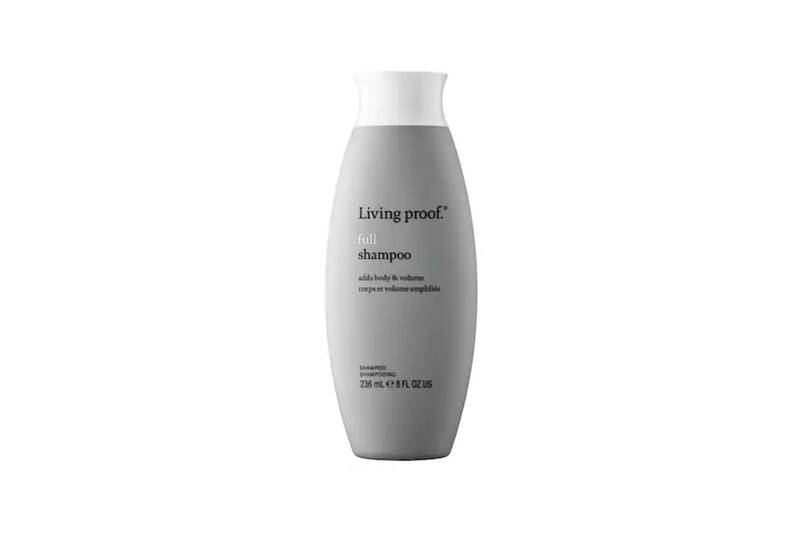 Living Proof’s entire line of “full” products—from conditioners to creams—is exceptional for adding some body and texture to hair. 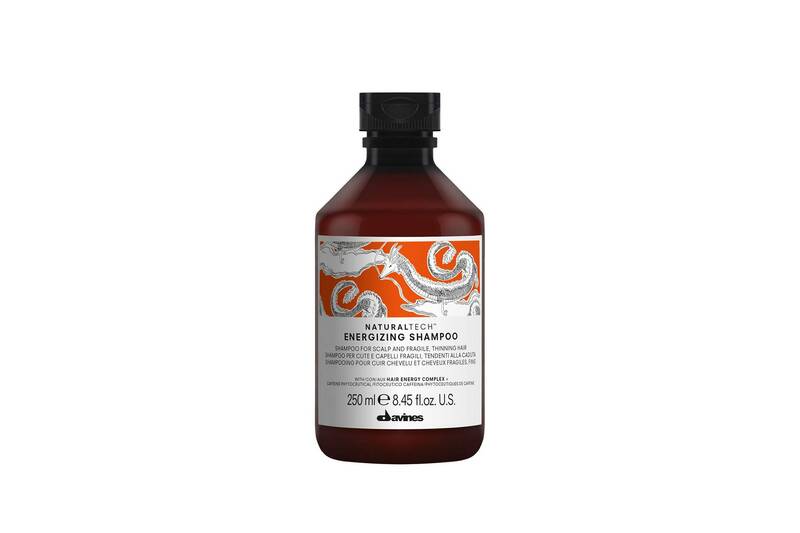 This shampoo washes follicles without using any of the typical resins that many other shampoos use and can weigh hair down. The result is freshly washed hair that feels a lot thicker and springier after a quick towel dry. Caffeine wakes up your scalp, too: When pumped into this shampoo, it boosts circulation to the scalp and into each hair follicle. This in turn strengthens hair as it grows, slows future loss, and prevents breakage along the strand. 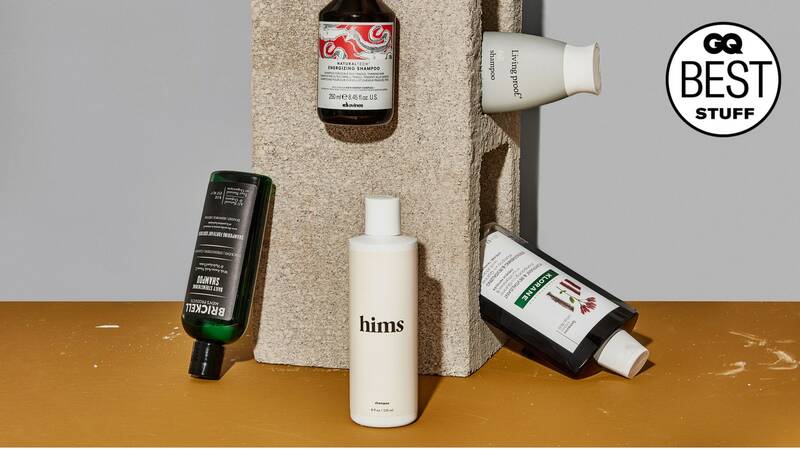 hims’ shampoo targets DHT—the hormonal byproduct that leads to hair loss. By reducing DHT production, it then reduces the rate at which your hair falls out. Combine it with the brands’ other hair-growth offerings and you’ve got a full-fledged regimen for a furrier dome. 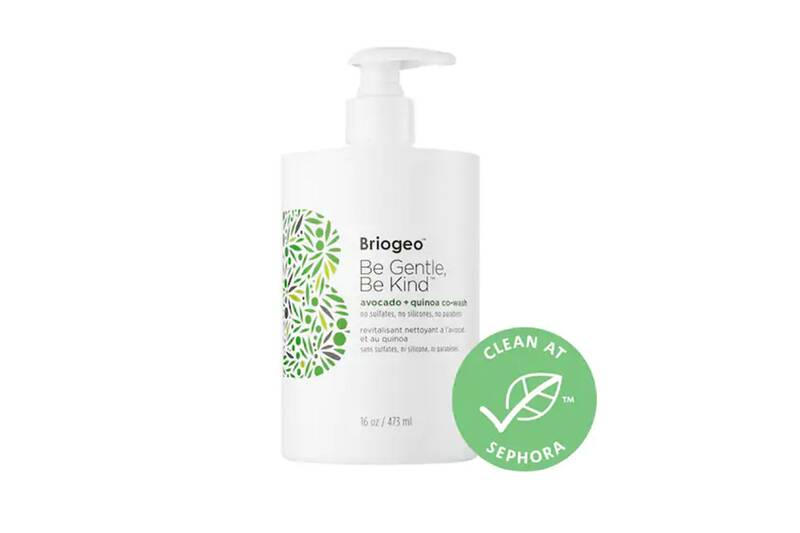 The peppermint and tea tree scent is an added bonus, as is the easy stylability of your hair after using this otherwise gentle wash.
For the shampoo-averse guy, this cleansing conditioner is a gentle hair-thickening alternative. This formula boosts volume, delivers a subtle shine, and shields hair from environmental damage (like heat, UV rays, salt, and chlorine). 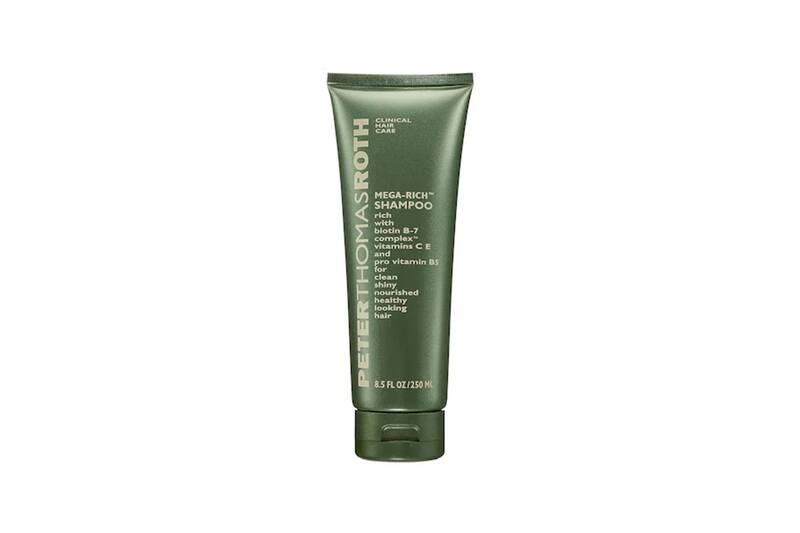 With vitamins like biotin (B7), C, E, and B5, Peter Thomas Roth’s shampoo stimulates hair growth and gives it a hydrating, nourishing scrubdown.